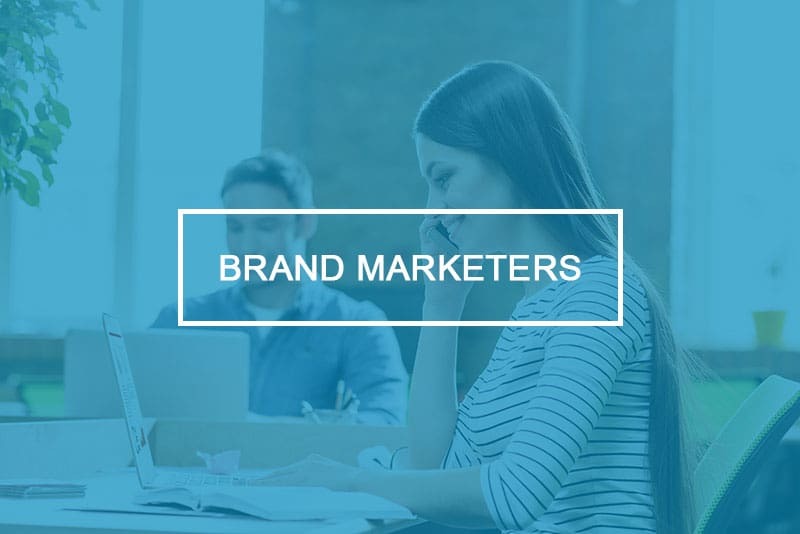 Brand Marketing Centers are web-based solutions that allows you and your team to easily customize marketing materials, while maintaining brand integrity and consistency. This solution empowers your distributed marketing team to seamlessly deliver localized campaigns while maintaining a global brand identity. 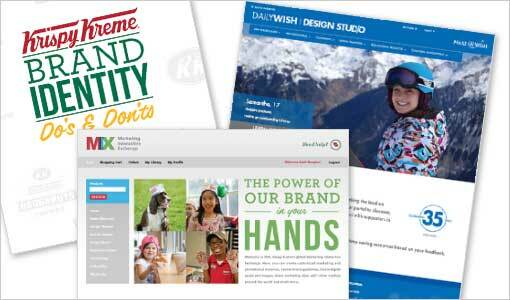 Brand Marketing Centers are Engineered to Order for each client. 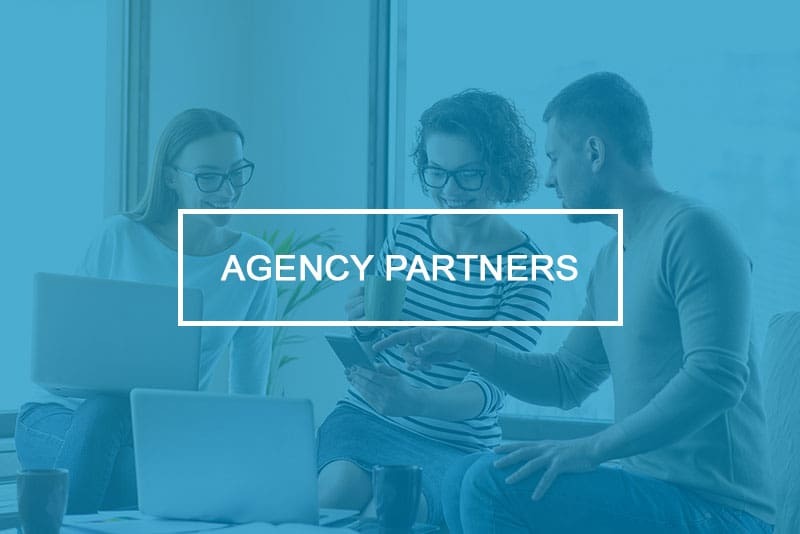 They range in complexity from simple Web to Print sites for brands with 10-15 locations, to multi-channel platforms that serve hundreds or thousands of users across the globe. We perform a detailed needs assessment for each client and configure our proven technology – which has evolved over the past 16 years – into a solution that is an exact fit for the client’s needs. See the full benefits. An informational, content-management-enabled website where users can find the latest brand marketing information and resources. In addition, the BMC contains resources such as branding guidelines, media plans, digital assets and even email signatures. 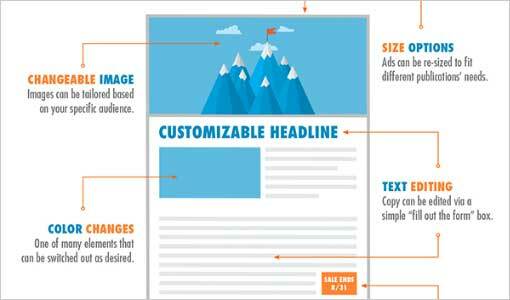 User-customizable marketing templates give control to end users while still keeping the brand consistent. Local users can to add their own logos and copy to brand-designed collateral while preventing the creation of items that don’t conform to brand guidelines. 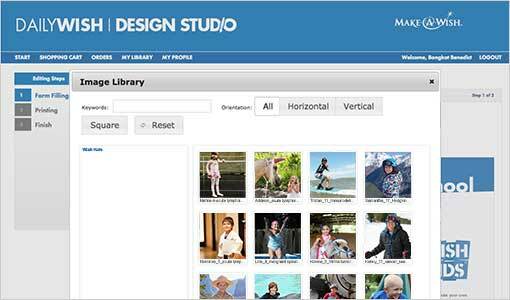 A Digital Asset Library is also referred to as a DAM, or Digital Asset Management system. Digital asset libraries house approved brand images, logos, audio, and video files. These files are available for use in templates or for download by site users. E-commerce capabilities include split payments, pay with co-op balance, and “hold for later” options. 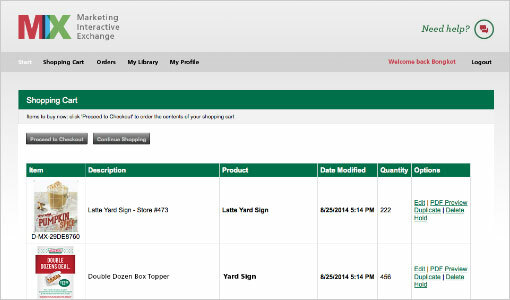 Enjoy a simple way to pay for transactions, while giving you consolidated order, financial-reporting, and subscription features. 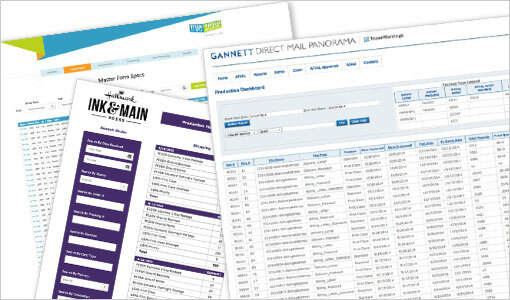 Comprehensive reporting for brand managers. 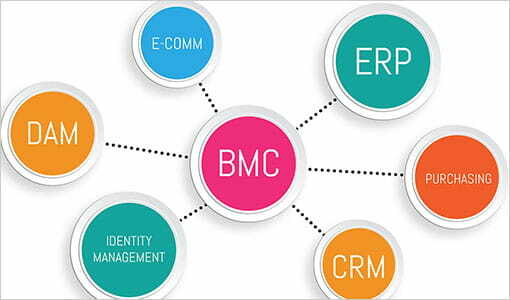 Integration-ready components, allowing us to connect the BMC to multiple production vendors or company-owned applications like ERP, purchasing or identity management. Take a look at some of the benefits a brand marketing center solution provides to your organization. Explore integrated marketing automation software and brand portals for national and global brands.